A movie that starts out with the "Man in the Mirror" music video, it then changes to a montage of video clips of Michael's career. Next comes a parody of his Bad video by children, and then Michael is chased by fans in a fantasy sequence. 2 more videos are shown, and then a movie in which Michael plays a hero with magical powers. In it he is chased by drug dealer Mr. Big and saves three children. Videos included in the movie are "Smooth Criminal" and "Come Together". Anthology movie by, and starring, Michael Jackson in his prime, combining a number of music videos from his bestselling "Bad" album with a fantasy tale of Michael's confrontation with a ruthless drug dealer known as Mr. Big (Joe Pesci). What the hell is going on in this movie, if you can even call it a movie, it's more like an hour and a half advert for "Bad". From what I could gather there was no story line at all, in it's place there were just 3 disgustingly cute kids and a dog. The anthology is good, but would have been better of as a VH1 special, not in a motion picture. Despite how much I thought about it, I still couldn't get my head around who those kids were supposed to be, how do they know Michael, and is he the famous Michael Jackson or just your average Joe Normal who is played my Michael and is also called Michael. Granted, I can't fault the Smooth Criminal scene in Club 30's, which still amazes me today, especially when the cue ball flies into his hand and he shatters it. Who was Joe Pesci supposed to be? why all the tarantulas? where was the story line? I used to like this film until I watched it again the other day, I'm 17 now and was 7 then, and I realised that it really is a poor attempt at a film. The directors, writers and producers should all be ashamed. I'm just glad that the Mega Drive game that accompanied it was good. Or maybe I just remember it being good. Much like this. 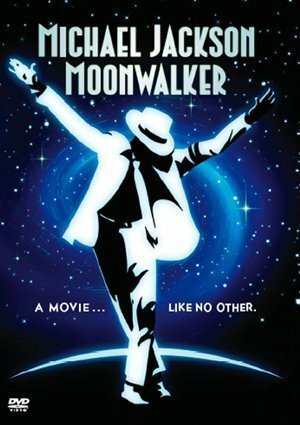 As an addendum to my previous comments, it seems that many people are labouring under a misapprehension when they pronounce with glee that Moonwalker is not a movie, but an extra long music video. Um, I'm afraid it isn't. I'm old enough to remember in detail the marketing campaign that coincided with the film's release, and darling Michael, with his ego being the inflated yet fragile thing that it is, certainly did not refer to it as just another little music video, oh no. To him it was a cinematic extravaganza on a par with West Side Story, Gone With The Wind, Star Wars and E.T. Anyway, music videos usually last for five to fifteen minutes, are repeated endlessly on MTV, and don't cost the fans a thing. 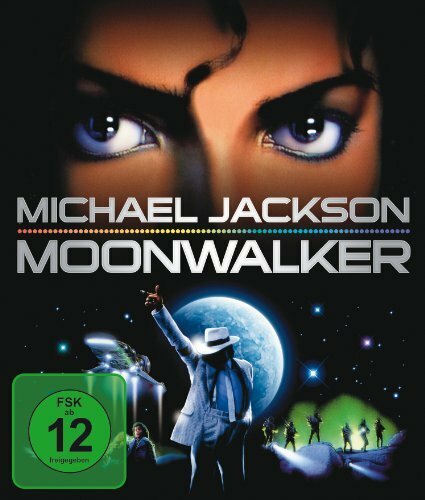 Moonwalker received a theatrical release, was more that one-and-a-half hours long, and the sorry suckers who wanted to watch it had to pay their dollar/pound for the privilege - a bit like a movie, really. Nope, Calling Moonwalker a music video is really just a transparent attempt to forgive it for being the vile spectacle that it is. Yuck. Quite astonishingly the newly released European Blu-ray versions - at least the German and British ones - are censored. Two scenes involving Mr. Big and Katie got trimmed. In the first one Mr. Big hits her and in the second one the heroin injection is missing as well. It is unknown whether all Warner Blu-rays feature this cuts. However, the 1990 Guild Home Video VHS version (UK rated PG) may have these edits included in an earlier edit. The infamous baseball bats with the car outside the Club is not included on this VHS version.